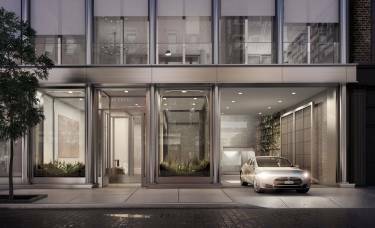 the ten parking spaces are located at a development in new york’s soho district. measuring between 150 and 200-square feet, the spaces are all first-come-first-serve. in case you’re wondering, the development is called 42 crosby street and as you’d expect, it’s ruddy stunning 😍. to be honest, when the ten parking spaces cost that much and the whole development was designed by a world renowned architect (annabelle selldorf), you’d accept nothing less than ruddy gorgeous! there’s not much else to say about this if i’m honest! if you’d like to have a peruse at the rather stunning apartments, all you have to do is go –>here<– 😬.